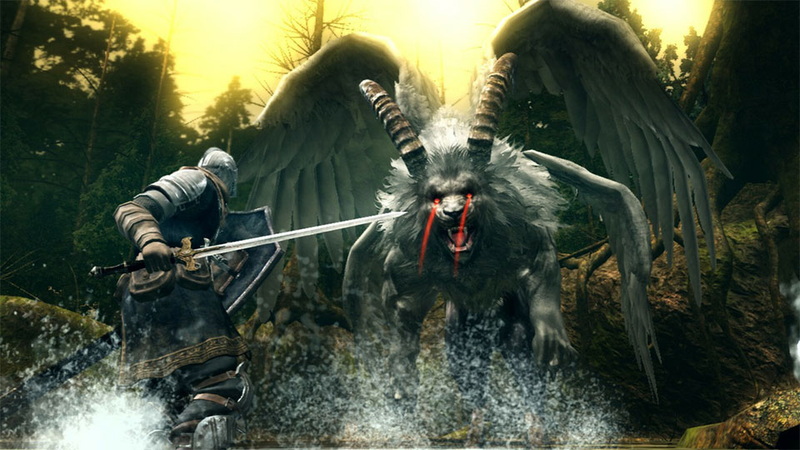 2011’s Dark Souls still has thousands of players on PC every month. Some are playing for the first time, while others speedrun it like practiced masters. The soapstone messages and bloodstains they leave behind won’t last forever, though, which is why one data miner has started memorializing them in interesting infographics. Atlas shut down 2009’s Demon’s Souls’ servers last month. A whole universe of inter-dimensional duels and lore was erased as a result. A data miner who goes by DriftItem on Twitter doesn’t want to let the same thing happen if Dark Souls ever goes the same way, or if the game’s playerbase leaves as a result of the upcoming remastered version. As a result, they created a custom game client to collect and preserve player-generated data currently in the game’s online PC version. “DS1 multiplayer data isn’t stored on a central server but traded between clients,” DriftItem tweeted earlier this month when asked about their project. “Once the DS1 remaster comes out and [the] player numbers go down, a lot of data would get lost forever.” As a result, Driftitem has been collecting whatever information they can from what the game transmits back and forth across the network while online. This includes 53,000 soapstone messages, notes players can leave for one another using the game’s Orange Guidance Soapstone item. It also includes around 42,000 bloodstains, markings that indicate where players from other games have died in the world. DriftItem collated the data he was able to scrape off the network and turned it into graphs and dotted maps that help players visualize the shared lore they’ve been generating. Not surprisingly, most of the maps are full of bright, glowing death traps filled with bloodstains surrounded by blue messages, indicating where players either tried to warn one another about the danger ahead or congratulate one another after they’d manage to survive it. “Praise the Sun!” is the most common soapstone message, followed by “I did it!”. “Be wary of the left” was also common, with many of those particular warnings aimed at warning players about the ninja between Depths and Capra Demon or the Balder Knight next to Undead Chu. It’s sort of like taking a really morbid walk down memory lane. My favorite part is when someone asked Driftitem whether they have a count of how many times total people have died in the PC version of the game. “There is no direct way as far as I can tell,” they responded. “The death animations stored in bloodstain replays can give some indication.” This wild way to do online player forensics and I’m here for it. DriftItem has done heatmaps and other data mining exercises in the past, most notably heatmaps for Counter-Strike. It looks like they’re going to continue focusing on Dark Souls for now, while potentially moving to Dark Souls III in the future depending on what their client tools allow.